What a great way to get sunburnt. Nice roads and a great value lunch. Thanks Fonz for the plan, and to our TEC Leafy, as well as the rest of the great company. For those members unfortunate enough to have to werk / wurk / werck / work ; I have even forgotten how to spell the word. This is what you missed out on today . Ten of our more fortunate guys and gal. met at the Brunch 10 am meeting point, and quickly decided that a ride to Seymour sounded just right. 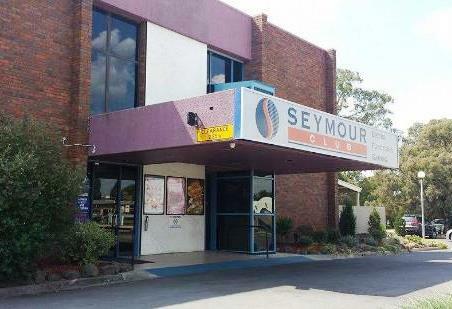 The destination was the Seymour Club - not tried before - but turned out to be extremely good .. "must come back here again" were comments being made by the group. The venue was very nice and the food equally good with the Seniors two course rissoles and pav. being a favourite. A quick visit to once again view and appreciate the Vietnam memorial wall to honour the 60,200 people ( and 11 dogs) who fought that war, and a special tribute to the 495 personnel who lost their lives, was a thought provoking experience. Total distance some 280 k's in magnificent sunshine and lovely day . Great day, Great ride, Great mates.